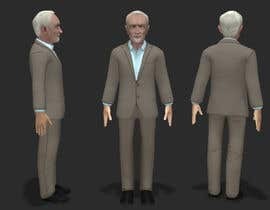 I need a 3D model of Jeremy Corbyn rigged and importable into Unity 3D. It can also be slightly cartoonish if you want. Doesn't have to be overly serious. The important part is that it looks enough like the guy to be obvious. Doesn't have to be incredibly high quality face, just close enough to look quite like him and be obvious to the audience. I started working on it..!! just started working on it..! !